Having lived for sixty five years, one is expected to have shrunk in stature and many times in status as one begins a drastic journey down the slope one had gone up earlier. To many, it’s a time they do not appreciate in many ramifications. However, for the only Lamikay I know, Professor Adebayo Lamikanra as he’s known in official circles, it’s the best moment of his life. Well, I would not be certain of that because I can predict the cynical reaction of the birthday boy if he read me say that, “was that a day at all?” accompanied with a chuckle and his characteristic facial expression, which I always interpreted as wordlessly saying ‘balderdash’. Well, I admit I must have made two wrong assumptions, balderdash as they were: one, that his 65th birthday was the best moment of his life and two, predicting, wrongly of course, what his reaction would have been. Notwithstanding, for Lamikay, he has always been a child, he remains so forever, I suppose. He looks younger, physically and at heart. This just must be obvious to anyone who comes across him because you do not need to make trouble for him to react to in a troublesome way; just stand in half of his way and he would give you a lot of trouble like he was a happy child that he is. It should be put on record that the 16th of October, 2014 will forever remain a memorable day for the eccentric Prof. (Don’t ask me how I know. He alluded to this fact in his remarks). The event held at the Conference Centre of the Obafemi Awolowo University in Ile-Ife and it was a gathering of great men, several Professors, an Oba, who also happened to be the celebrator’s (as introduced by the Chairman of PSN, Osun State, who represented the PSN National President, Pharm. 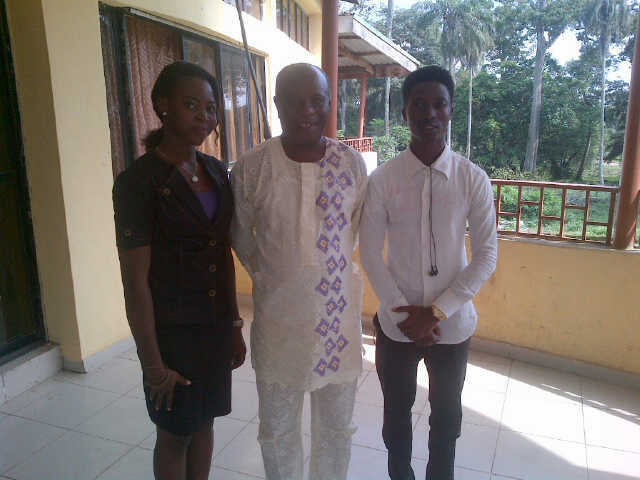 Olumide Akintayo) Uncle and Odia Ofeimun. The Keynote address was delivered by Prof. Osazuwa, who was the first MSc. student of Lamikay and who had all good things to say about this enigmatic persona. Individuals selectively spoke about Lamikay in dangerously flowery terms, in consonance with his personality, sworn never to change. Of note in all said was Prof. Lamikanra’s ingenuity, creativity, honesty (frankness, if you care), die-if-you-want-I-am-who-I-am sort of relationship with whoever and his seamless journeys through divergent fields, overt in this case, Pharmacy and the arts. Odia Ofeimun spoke about his envy of the renown of this highly ‘predictably unpredictable’ Prof, who successfully invests himself in the sciences and the arts almost like there was no difference between the two fields. Several other speakers toed a similar line. 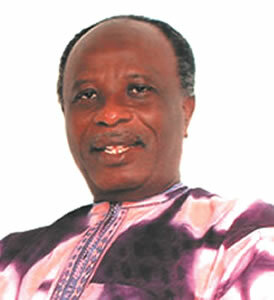 A senior colleague of Lamikay back in Igbobi College, in 1962 precisely, spoke about his interaction with the far-junior Lamikay and his several mischievous adventures. A colleague of his also spoke of his randy escapades, while at the same time fascinated by the intrigues of a country fast losing grip with what it took to be a nation. Most of these anecdotes, you should find them in Lamikay’s memoirs, or speak with the personality and ‘accomplices’ involved. Out for public knowledge also was Prof.’s quick reaction to those who thoughtlessly mention the name of God, especially while in his office. They are usually sent out, “Get out!” As mentioned by Prof. ‘Leke Adebajo and as has happened in my presence, Lamikay usually gave no apologies for needing you out of his office as soon as you said it. This is not because of his hatred for God, but for the nausea he has when he hears people mention God usually in relation with what they do not understand (just yet), what they perceive as being unreachable or just for whatever fancies they have. Prof. Adebayo Lamikanra, in his remarks, observed due protocol, appreciated the presence of all, including this writer (even though he omitted my name or I must have been distracted when he mentioned it), talked about how he spent his birthdays, usually as a day for reflection. He told us his birthdays had only been celebrated thrice in his life time (I would wish it happens every year and that’s because of the post-symposium entertainment that would follow) and he encouraged the younger generations (those of us – I’m not sure if my generation was mentioned – who still believe we have our whole life ahead of us. I laugh) to consistently be in search of knowledge and be true to oneself. Thank you Prof. for being born into this world, in Nigeria, as a very black man on the 16th of this month of that year, maaannnnnyyyyyyy, I mean sixty fiveeeeeeeeeee years ago. 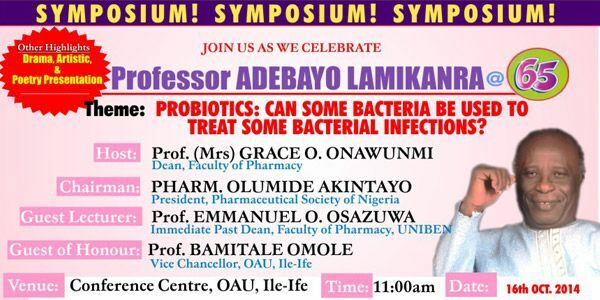 And for giving us this rare privilege into the some of the recesses of Lamikay’s life, I say a big thank you to the organizers of the event, chaired by Dr. Akinkunmi.